The Red Sox traded Manny Ramirez at the deadline today, shipping the disgruntled outfielder to the Dodgers in a three-way deal that sends outfielder Jason Bay from Pittsburgh to Boston, reports New England Sports Network. 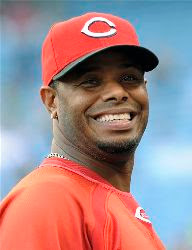 Earlier, Ken Griffey Jr. agreed to a trade from the Reds to the White Sox, boosting the odds that the 20-year veteran will finally play in a World Series, Fox Sports reports. The Marlins were also in the race for Ramirez, the subject of escalating rumors as the deadline approached and his attitude steadily worsened. The Red Sox will pick up the $7 million remaining on his $20 million salary for this season, SI.com reports. The Pirates will receive reliever Craig Hansen and outfielder Brandon Moss from Boston as well as LA infielder Andy LaRoche and a minor league pitcher. Think working out of a home office means wearing your jammies and watching YouTube? Not unless you want the boss to see what you watch in your Mickey Mouse PJs. As telecommuting rises, employers are tracking their workers by taking screen snapshots, recording keystrokes, and even taking pictures of workers via built-in cameras, reports the Wall Street Journal. Critics call the practice intrusive and “Big Brotherism,” while employers see it as good management. 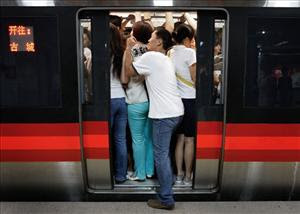 Many workers, meanwhile, simply see it as a tradeoff for being able to avoid the expense and hassle of commuting. Whatever the opinion, it may actually serve to accelerate the work-at-home movement as employers feel satisfied knowing how much work is getting done. Bill Gates tweaks his corporate colleagues with an essay in Time urging businesses to look harder for ways to extend the benefits of capitalism to a greater portion of the global population. As a philanthropist, he says, he recognizes the need for nonprofit work, but as a businessman, he knows that only corporations have the resources to improve people’s lives on a grand scale—they just need incentives. Sometimes an overlooked market can provide the incentive: Gates cites cell phone firms that courageously expanded into places like Kenya and have seen their profits soar, while using technology to improve the lives of millions. But government can help “creative capitalism” along, too: Gates notes a recent US law that rewards drug companies working on neglected diseases like malaria with fast-track FDA review for another, more profitable drug. In a move that has hundreds of restaurants closed and thousands of workers laid off, casual-dining chains Bennigan’s and Steak & Ale filed for bankruptcy today, the Wall Street Journal reports. Sources say the restaurants’ parent company—which violated a lending agreement this year—had put off declaring bankruptcy for months as it negotiated with lenders. The Chapter 7 filing means assets owned by the corporation will be sold off to pay debtors, the Dallas Morning News notes, meaning outlets owned by franchisees could remain open. It’s one of the biggest-ever restaurant bankruptcies, but only the latest bellyache for the casual-dining landscape: High food and labor costs are bringing profits down, while a rocky economy steers consumers away from mid-priced establishments. The House has apologized to black Americans for the wrongs committed against them and their ancestors who suffered under slavery and Jim Crow segregation laws. Today's resolution marks the first time Congress has ever formally apologized for America's past history of enslaving and discriminating against blacks. "Today represents a milestone in our nation's efforts to remedy the ills of our past," said Rep. Carolyn Cheeks Kilpatrick, D-Mich., chairwoman of the Congressional Black Caucus. Every time I make a mistake, I chalk it up to a Life Lesson: something learned that will help me later in life should the same circumstance present itself. For example, I recently took a line drive off my forearm while I was throwing batting practice to my son. Sure, the bruise is colorful and it looks like a scoop of rainbow sherbet was surgically implanted under my skin, which is cool, but it did hurt. The next night I backed up, realizing that this 6-foot tall human I’m pitching to is no longer 7 years old and is no longer afraid of a league ball: another Life Lesson learned. Is it really that hard for anyone to understand that “it’s” translates to “it is”? While the slaw may be tasty, and I would really like to add that keepsake bowl to my collection, I worry about the caterer’s ability to read the expiration date on the mayonnaise. No sale. --Never put your money in a bank that can’t keep accurate time and temperature readings. There are two banks near my house, both within a Susan B. Anthony’s throw from each other. They’re so close, I imagine they get each other’s mail. (And probably read it). One of the banks has a sign that flashes the time and temperature in between offers to give you less interest for investing in a CD than you would make if you asked your parents for some spare change. Occasionally, the time will be off by more than a few minutes, enough to be noticeable and make you think you’re later for work than you really are. The temperature gets wacky, too, proclaiming 112 degrees when the sun hits the sign’s aluminum frame, even though it’s October. We don’t bank there. If the clock can’t keep accurate time and the temperature is an arbitrary number, I don’t think I want them keeping track of my IRA. Or my Susan B. Anthonys. --Never stay at any hotel, motel, campground, hostel, or cute little bed and breakfast if they can’t spell “accommodations”. You would think that in an age where kids learn to spell-check before they can write, that there wouldn’t be a problem with that word. Yet I swear I have seen it spelled wrong dozens of times on advertising for national chains of hotels and other lesser known innkeepers. It may not bother you when they leave off a “c” or an “m” in the word, but isn’t that like trusting your laptop to someone who says he can fix your hard “dryve”? I mean, accommodations are what they’re selling. If they can’t spell it, I’m not buying it. --Change your oil every 3000 miles, but don’t do it yourself. Back in the 70s when $10 would fill up your gas tank and leave you room for a Big Gulp and a Suzy Q (breakfast of champions), it made sense to change your own oil. Quarts of oil were less than a dollar apiece, oil filters were only a few dollars, and you felt like you were some kind of mechanic. Very impressive to the ladies, especially if you owned your own oil pan and filter wrench. Nowadays quarts of oil are closer to $2 each, and it’s not like the old days anymore: you can’t just dump the old oil into your neighbor’s yard when he wasn’t looking – allegedly. Now it makes sense to get your oil changed for less than $20 from a real life mechanic. Sure, it may take 30 minutes of your time, and yes, they will try to scare you into replacing a part your car doesn’t need (“Mr. Rehak, it looks like you’ve got a bad flux capacitor – want us to replace it, or would you rather die in a fiery crash on the Eisenhower?”), but you need to stand firm and tell him to just change the oil, Mickey, here’s my coupon, and I’ll be on my way. Trust me, your wife will be more impressed that you got it done right rather than wasted half a day looking for your old filter wrench. Maybe stop and get her a Slurpee on the way home, you big romantic, you. --Never get so full of yourself that you won’t bend over to pick up a penny. There is a coin snobbery in this country that has grown to epidemic proportions. When was the last time you bent over to pick up a penny on the ground? If it’s been awhile, either you’re a coin snob or it’s time to visit the eye doctor. I’ve seen people drop a penny, and then look at it as if a wart just fell off their thumbs. They ignore those little Lincoln heads with the cavalier attitude that “it’s only a penny”. And this penny apathy isn’t getting any better. I believe that this penny prejudice has grown exponentially over the years, handed down from parent to child. Help stop the hate, people, before it spreads to nickels. --If you know anyone over 35 years old, don’t call them after 11pm. They’ll panic. Us older folks need our rest. If we have kids who aren’t home yet or we have any living relative with a bad head cold, and you call us after “Nightline” has ended, we will assume that someone has died. We will jump to the phone like a schoolgirl the week before prom. Let it wait till the morning. We’re usually up by 6am anyway. If it can’t wait, there better be an ambulance involved. --Don’t wear a jersey to church. If you’re going to a worship service, dress appropriately. You can dress casually, but if you’re wearing a garish team logo, or are sporting a t-shirt with a saying that would make a nun blush, you might as well stay home. And don’t give me that old argument that God doesn’t care what you wear to church, as long as you attend. Ask yourself this question as you get dressed: would I wear this to a wake? If you wouldn’t wear the outfit to a wake out of respect for Uncle Monty or Aunt Cecilia, then you shouldn’t wear it to Sunday mass, out of respect for someone a littler higher up than good old, dead Uncle Monty. Contrary to popular belief, the traits of successful people are learned, not inherited. You do not have to be born a gifted person in order to be successful in life. 1) Successful people have all been "blessed" with exceptional talents or skills. 2) Successful people are highly educated people with college degrees. 3) Successful people inherit their success. 4) Successful people get where they are by being dishonest. If you answered "true" to all of the above, you failed the quiz. What's more, you are most likely undermining your own potential for success. 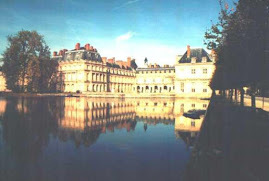 In order to unravel the "mysterious" secrets of success, it is necessary to discard several unfortunate misconceptions. First of all, success does not require superior talents or skills. It does require certain attributes or traits that are not inborn but learned. For example, successful people are typically goal-oriented, highly motivated, flexible, determined, confident, and self-disciplined. Secondly, many of the most successful people in the world never attented college. In fact, many never even finished high school. Thomas Alva Edison- whose many inventions include the electric light bulb, the phonograph, and the motion picture camera- had only a few months of formal education. Largely self-taught, Edison learned and developed the attributes common to successsful people. 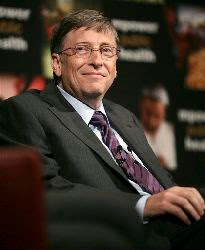 He once said that "genius is 1% inspiration and 99% perpiration". Insert the word "success" in place of "genius", and the statement is just as true. A third misconception is that most successful people started out with unfair advantages. The thinking here is that successful people never get where they are by starting "from scratch". These people must have inherited financial advantages or influential contacts. The truth is, a great many success stories are "rags to riches". Many of the most successful people in the United States started with nothing and earned their measure of success through hard work. Finally, most successful people do not get where they are by cheating. Dishonesty is not a prerequisite to success. Once these misconceptions have been discarded, it should begin to come clear that success is not typically a result of circumstances or aptitude. It is most often a result of "success-oriented behavior" involving certain characteristics or attributes that anyone can learn and develop. Rather than being secret, the way to success is open to anyone who has a goal and who develops the thinking, attitudes and behaviors common to all successful people. In order to be successful, you must have a goal- some point you wan to reach. That's the first and most important requirement for success. Simply put, you can't be a winner if there's nothing to win. Both short- and long-term goals are essential elements in providing a sense of direction and purpose. Without a specific, clearly defined goal, you're like a traveler who has no destination. You have no idea of where you're going or why. You don't know how to use your time and resources to their fullest advantage. On the other hand, goal-oriented people know exactly where they are headed and why. They plan their journey carefully, keeping in mind all the detours they may face along the way, and never lose sight of their destination- their goal. Once you have set your goal(s) you must have the drive or motivation to reach it regardless of the obstacles in your way. Successful are all highly motivated people who press forward until their goals are reached. That doesn't mean that in order to achieve your goals you must exclude everything else from your life. You'll still need to socialize and relax, but you must set priorities. Consider how much time you spend each day in unnecessary pastimes that do little more than sap your energy. If you use that time instead to focus on and work toward a specific goal, you'll increase your chances for success dramatically. The bottom line is, in order to be successful, you must want to reach your goal more than anything else. 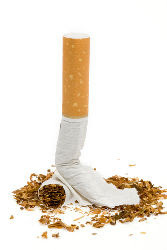 Having a spouse who smokes significantly increases a nonsmoker’s risk of stroke—especially if the nonsmoker used to light up, a US study shows. The stroke risk for those whose spouse smokes but who never have themselves is raised 42%, while the risk for those who are former smokers jumps 72%—about equivalent to a smoker’s stroke risk, Reuters reports. “Quitting smoking helps your own health and also the health of the people living with you,” said the researcher who headed the study. 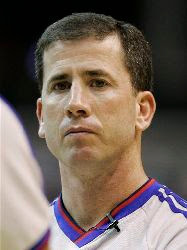 Tim Donaghy was sentenced to 15 months in prison today for his role in the NBA gambling scandal, the Sporting News reports, a step down from the 27-33 months recommended by federal guidelines. Donaghy’s lawyers argued that the disgraced referee—who admitted to betting on games he officiated in pleading guilty to wire fraud and other charges—couldn’t help committing those crimes, because he was a compulsive gambler. 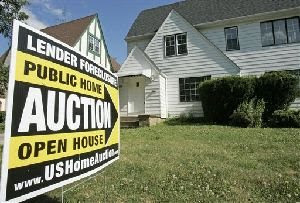 Congress has passed a housing rescue bill aimed at sparing 400,000 struggling homeowners from foreclosure. President Bush is expected to sign the measure quickly. The Senate passed the legislation by a 72-13 vote in a rare Saturday session. The measure lets homeowners who cannot afford their monthly payments refinance into more affordable government-backed loans rather than losing their homes. The bill also offers a temporary financial lifeline to the troubled mortgage companies Fannie Mae and Freddie Mac, and tightens controls over them. There would be higher limits on loans that Fannie Mae and Freddie Mac can buy and the Federal Housing Administration can insure. The loans would be capped at $625,000. 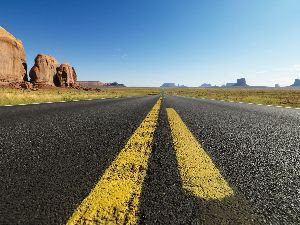 Driving in the United States continued to drop, the Washington Post reports, with May marking the steepest dip in vehicle-miles traveled for that month in the 66 years statistics have been tallied. 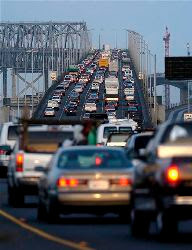 Americans drove 9.6 billion fewer miles in May 2008 than May ’07; in the first five months of 2008, they drove 29.8 billion fewer miles than the same period in 2007. Public-transportation use is increasing, workers are turning to telecommuting, bicycle-riding is up, and gas-tax revenues are so low the government is exploring other ways to raise revenue to maintain highways. “By driving less and using more fuel-efficient vehicles, Americans are showing us that the highways of tomorrow cannot be supported solely by the federal gas tax,” the Transportation Secretary said. 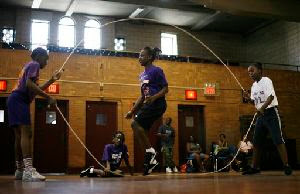 New York City schools will offer a new sport this spring: competitive double dutch jump-roping. The first school district to start official teams has done so in recognition of the sport's popularity among the city's youth—and to promote fitness, AP reports. "It's something that builds stamina," explains one coach who expects tryouts to be mobbed. 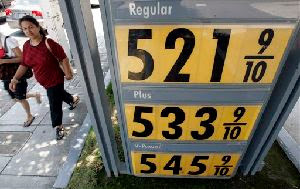 Gas prices dipped below $4 today for the first time in almost 2 months, CNN reports. 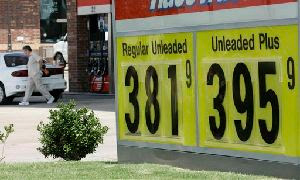 A survey by AAA showed that a gallon of regular cost an average of $3.983, 2 cents lower than yesterday. The move continues a trend over roughly the last week in which prices have dropped 10 cents, and they could fall an additional 25 cents by the end of summer, AAA says. The drop mirrors a similar fall in the cost of crude oil. 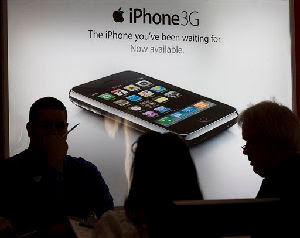 "We think it is primarily in reaction to the drop in demand by American consumers," said a AAA spokesman. If your thumbs ache after hours of texting and gaming, a new gadget may be able to whip your digits back into shape. 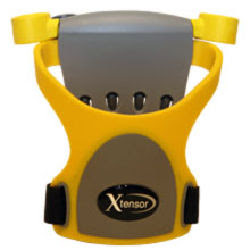 The Xtensor "exercise device" helps geeks strengthen their wrists and hands or rehabilitate injuries, reports Laptop Magazine, but reviewer Joanna Stern acknowledges that she hasn't had the $39.95 device long enough to report on whether it works as intended. "It was just too good to resist," Stern writes of the manufacturer's pitch. Only jalapeño peppers grown in Mexico seem to be implicated in the nationwide salmonella outbreak, the FDA said today in clearing the US crop. 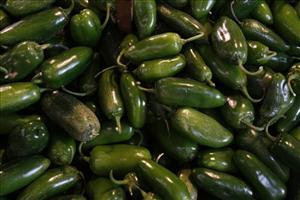 Consumers should avoid raw Mexican jalapenos, the serrano peppers often confused with them, and dishes made with them such as fresh salsa, the agency said. But how consumers would know where they from is unclear. "You're going to have to ask the person you're buying it from," said the FDA's food safety chief, who is advising restaurants and grocery stores to know their suppliers. "Domestically grown products are not tracing back at all to the outbreak." Chiles are a $500 million crop just in New Mexico, which produces most of the US supply. Eat wild game you killed, dressed, and cooked yourself. The French parliament has passed landmark legislation eliminating the 35-hour cap on the work week, Reuters reports. President Nicolas Sarkozy has long blamed the short week for France's economic struggles. Most employees work longer, but accumulate overtime pay or vacation days for the extra hours. 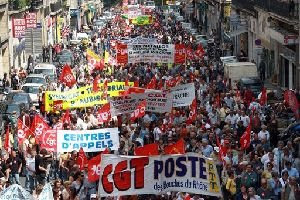 Tens of thousands of French workers demonstrated against the reform last month. "Companies will at last be able to operate a management policy based on a secure legal framework," said a ruling party lawmaker. "It's a remarkable advance for the economy." But critics charge the economy could suffer a blow from the loss of consumer purchasing power currently earned from overtime work, and that the change will substitute longer hours for job creation. Will Steve Bartman—the fan blamed for costing the long-suffering Chicago Cubs a trip to the 2003 World Series—come out of hiding for $25,000? A pair of sports memorabilia outfits are offering the bounty, the Orlando Sentinel reports, if Bartman shows up at a July 31 convention in suburban Chicago and autographs a single copy of a photo showing him reaching for a key foul ball. They're calling it “a spoof of A Christmas Carol and contemporary American culture,” from the director that brought you Naked Gun and Airplane! But what the press release doesn't say is that the director is David Zucker, a self-proclaimed “9/11 Republican,” and that American Carol is a brazenly right-wing send-up of Michael Moore as an America-hating Scrooge, to be converted by the ghosts of presidents past. Zucker has deployed a cast of Hollywood's GOP A-listers, including Kelsey Grammer, Jon Voight, Dennis Hopper, and Zucker stalwart Leslie Nielsen. “It outdoes any movie I have ever done in tasteless, offensive, un-PC humor,” says Zucker. 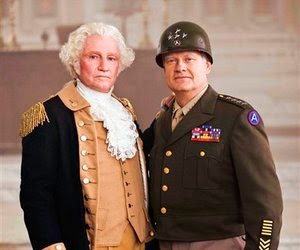 The movie is getting advance buzz through the conservative Creative Response Concepts firm, which handled the Swift Boat Veterans for Truth campaign. A Utah man got a little testy when passengers in a neighboring car, re-enacting a famous TV spot, gestured for him to roll down his window and asked if he had any Grey Poupon mustard. "Here's your Grey Poupon, roll your [expletive] windows up," said the 22-year-old, who grabbed a handgun and pointed it at them. One of the three got his license plate, and police later charged him with aggravated assault, the Salt Lake Tribune reports. In the western medicine world, we have lost touch with the basic concept of true healing. We substitute a band-aid for a cure and wonder why we don't feel better. People get ill for many reasons. Each diseased state tells us that we are ignoring some part of self, and change is necessary. While many factors contribute to healing, and it happens on many levels, all require attention throughout the entire healing practice. Ignoring the body-mind (emotions and thoughts) would not provide adequate and long-term good health. Physical symptoms like headaches, swollen glands, sneezing and colds, including more serious diseases like cancer, communicate that there is a disturbance in the emotional fabric of our being. Negative emotions like fear, doubt and worry stop the normal flow of energy. These emotions undermine us, and over the course of our lives cause unexplained and crippling diseases that end up controlling us. The physical body falls apart because we fall apart emotionally. Recent scientific studies have shown that emotions sabotage everything—from simple success to kidney failure. When we don't care for the "whole self," the physical body simply mirrors those effects. Over the course of time, emotions like fear, anger and confusion take their toll. Repressed anger diminishes the functions of the liver. Hopelessness and despair play havoc with the gall bladder. Fear plays havoc with the kidneys, relationships and success. Confusion on the other hand, keeps whirling thoughts spinning, creating a cloud of chaos around us and we become imbalanced and ungrounded. Head colds for instance, are a direct result of emotional confusion. Long-standing negative emotional beliefs deteriorate the entire physical being. A constant string of repetitive negative words weaken and actually exhaust the physical body. To heal we must feel. We must identify the root emotional cause of the disease. This process lays down a new foundation for good health and begins with a new attitude about being healthy. Any negative emotion causes us to stay stuck in a false perception about our self. How do we identify negative emotions? The easiest way to identify negative patterns is to see them in family members and friends. Examine other people's behaviors. Notice all the things you like about them and all the things you don't like, especially the things that make you angry, envious or jealous. The people around you are actually reflections of you. What you see in another person that bothers you or angers you is a part of yourself that has not yet been loved and healed. Begin by criticizing your dearest friends. By doing this practice of looking at the faults of friends and family you get in touch with the parts of you that are out of balance and seek healing. This simple exercise offers you an opportunity to look deeply at your own emotional concerns and patterns. Once you locate personal limitation it's time for change. Emotional patterns are created when you place a judgment upon an experience. To change, we must stay conscious of our feelings in situations. Stay calm, make no judgment—simply feel the energy. For example, let's take anger because anger is one of the most profound emotions and is easily felt. Imagine yourself in an angry situation; stay completely present and deeply feel the anger. Don't judge it—simply feel it. Now, love the feeling that anger produces. Anger can be motivation. It can be passionate. Change the negative charge that anger produces; begin to embrace and love the feeling of anger instead of repelling it. Next begin to dialogue with the anger. Yes, that is correct, strike up a conversation with anger. Ask it questions like, "What are you teaching me?" or "Why am I so angry all the time?" Permit the answers to come into your conscious mind. As they do, you realize what the true issue is. Sometimes in that moment of realization the anger pattern can release. Other times it might take a few more conversations for the anger to release. This method allows the energy constriction caused by anger and other emotions to release. Any blocked energy begins to flow giving the physical body a chance to heal. Even though healing begins with the emotions, the physical body must be strong enough to support the emotional body. Supplements: Supplementation is important because food chemicals, pesticides and a hurried lifestyle play havoc on our systems. Take no more than five different supplements daily. I prefer liquids including Green-Magma and other green drinks. If you don't feel immediate results, they are not working. Water: Only 5% of the American population gets sufficient water each day. Diet drinks, high corn-syrup drinks and coffee do not count towards proper hydration; in fact these drinks cause gastrointestinal inflammation, kidney and liver problems and an acidic environment. To properly hydrate drink at least half of your body weight in purified water by the ounce each day. For example if you weight 150 lbs. you need 75 ounces of purified water daily. Exercise: The number one killer today is a stagnant lymph system caused by a lack of exercise. Take a walk around the block or take a yoga, chi-kung or Pilate's class. 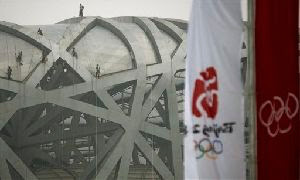 The lack of child-friendliness also worries industry watchers. “This is definitely a comic-book movie for adults,” an observer said. “That's part of what makes it so powerful. But it could also limit the kind of repeat business it can do.” A more knowing parent, who left the kids at home, chided the astonished ones. “Did anyone not know this was a violent movie about a homicidal maniac in makeup? 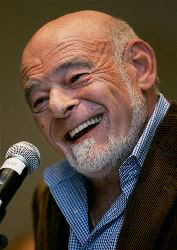 Heads continue to roll at the Tribune Company, but one staffer is aiming to prove the pen is mightier than Sam Zell's ax, reports the New York Times, with new blog TellZell.com. The site is airing the gripes of Tribune's disgruntled journalists, and is finding plenty of fodder—from top-level resignations at the LA Times to publishing the unreleased list of employees facing layoffs. The site is managed by an anonymous insider at the LA Times—he's on the editorial staff, "for now at least"—who goes by the moniker "InkStainedRetch." The Times' media columnist said that the site holds a macabre fascination for the paper's employees. "They are amused, and since there isn’t an official accounting of those involved in the current layoffs, people turn to it to get an update." Half of Beijing's drivers left their cars at home today and took public transportation on the first workday under new restrictions meant to clear the city's notoriously polluted skies before the Olympics. Under the plan that kicked in yesterday, half of the capital's 3.3 million cars will be removed from city streets each day, alternating odd and even license plates. Those caught driving on days they shouldn't will be fined $14, a pricey penalty even for China's capital. In most areas, crowds remained surprisingly manageable, perhaps because employers were asked to stagger work schedules, and public institutions opened an hour later than normal. Traffic still snaked along main thoroughfares and highways, but it moved at a steady pace. "Before we would be at a dead standstill," said one taxi driver. "Now it's better." Two new subway lines and an airport rail link were opened over the weekend. President George Bush, noting the large number of presidential candidates, particularly Democratic ones, is rumored to be thinking of asking for a constitutional exception that would allow him to run for a third term. The only one who seems to look forward to the prospect of a third term by Mr. Bush is Mrs. Bush, who learned a long time ago what it’s like to be married to the decider. 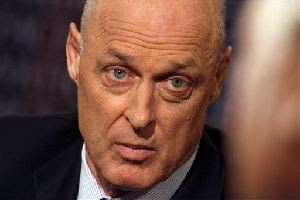 Henry Paulson sought to reassure Americans today that US banking is "sound" despite a growing list of troubled banks, Reuters reports. He also said the economy will stay slow for months, but expressed confidence that Congress will shore up Fannie Mae and Freddie Mac before summer recess. "Congress understands how important these institutions are," he said on Face the Nation. Batman has sent Spidey packing as king of Hollywood's box office superheroes. 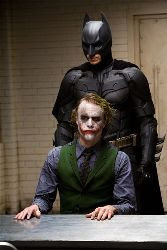 The Dark Knight took in a record $155.34 million in its first weekend, according to Warner Bros., which released the Batman Begins sequel. That figure topped Hollywood's previous best of $151.1 million, set by Spider-Man 3 in May 2007. 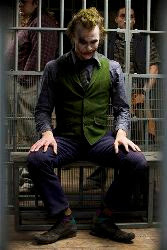 On opening day Friday, The Dark Knight pulled in a record $67.85 million, up nearly $1.5 million from the studio's estimates a day earlier. "We knew it would be big, but we never expected to dominate the marketplace like we did," said a Warner Bros. spokesman. But Spider-Man 3 may have sold more tickets, because the average 2008 admission price is $7.08, up from $6.88 last year. An Orlando man agreed to name his baby after two local radio hosts in exchange for a gift card worth $100 of gasoline, Reuters reports. The listener will collect the card in December, when his son is born, after producing a birth certificate. He's not the only American susceptible to offers of free gas these days: from brothels to churches, fuel has become a better lure than cash. At the Shady Lady Ranch in Nevada, repeat customers will get a $50 gas voucher to mitigate the cost of the commute. That's a better deal than at St. Ann's Parish in Massachusetts, where only one lucky parishioner a week gets to go home with a $50 gas card. Want to hit the mother lode? Try giving blood; the American Red Cross will be rewarding one donor with free fuel for a year. Get ready—this holiday season is going to boast some of the most expensive airfares ever, USA Today reports. Because of high fuel costs, most airlines have cut back flight schedules; figure about 9% fewer flights in November compared to a year ago. 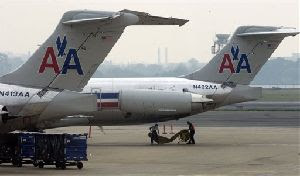 Having constricted supply, expect the airlines to raise prices $50-$200 extra per seat. And don't bank on any late holiday sales. As a Cubs fan, I’m nervous. As a father of two Cubs fans and the husband of one Cubs fan and the owner of a dog who’s a Cubs fan (she better be if she plans on any more walks); I’m downright petrified. With more than half of the season gone, the Cubs are still in first place, and have a legitimate shot at the playoffs. The playoffs seem inevitable, given the recent acquisition of Rich Harden and the subtraction of all things named Patterson from the roster. What scares me is that everyone else thinks so, too, and is looking past the playoffs, towards the World Series. The Brewers: Sure, Milwaukee acquired a great pitcher in CC “as in EE Cummings” Sabathia, but he can only pitch every 5 days. What should worry Cubs fans is the Brewers’ offense. Players like J.J. Hardy (think he’ll drop the periods? ), Prince Fielder, Cory Hart and Ryan Braun are all top-flight offensive threats, even if you can’t find a normal first name in the bunch. And the Brewers always give the Cubs a close game. Yes, the Cubs should be able to beat the Brewers, but think about this: the Cubs play the last 3 games of the season in Milwaukee, and the Cubs are under .500 on the road this year. Let’s hope those last 3 games are meaningless to the Cubs. In a good way. Also consider that the Cubs and Brewers have the two best records in the National League at this point, meaning that if one of them is the Wild Card team, and both teams survive the first round of the playoffs, they will meet each other for the pennant in the NLCS. That’s like Christie Brinkley accidentally getting on an elevator alone with Peter Cook. Very uncomfortable. The Unbalanced Major Leagues: There are 30 teams in Major League Baseball, with 3 divisions in the American League and 3 divisions in the National League. Now, any third grader can tell you that 30 teams divided by 6 divisions works out nicely to 5 teams per division, with no remainders, as we used to say in the 3rd grade. So why in the over-extended, pretentious name of PricewaterhouseCoopers are there 16 teams in the National League and only 14 teams in the American League? The National League Central division has 6 teams, while the American League West division has only 4 teams. If your favorite team is in the AL West and it can’t make the playoffs at least every other year, you might as well root for the Patterson brothers to reach their potential. So while teams in the AL West only have to beat out 3 other teams to reach the playoffs, the Cubs have to beat out 5 other teams, if you include Pittsburgh as a team. What doesn’t make sense is that the Brewers used to be in the American League and moved to the National League, effective creating this traffic jam in the NL Central. It really doesn’t make any sense to have this unbalanced mix. Oh sure, having an odd number of teams in each League would mean that there would have to be at least one interleague game every night, but so what? Doesn’t everyone just get all giddy during interleague play anyway? Well, instead of a calvacade of games in June, why not just spread out those games so that there’s one every night? We get permanent interleague, and the National League Central gets a fair shake. God’s version of “Punk’d”: Your God, whether he’s an Almighty deity, a Buddha, a cow, or Morgan Freeman, likes to laugh. At the very least he likes to see Cubs fans squirm. In 2003, He brought us to within 5 outs of the World Series. That was just a teaser. Because when you think about it, the past 4 World Series, ever since the Cubs came within those 5 outs of the Series, have been won by the Cubs’ fans worst nightmare teams: in 2004, the Red Sox broke their “curse”; leaving the Cubs and White Sox with the longest Championship droughts. The very next year, God took care of the White Sox and handed them their rings. With those two teams out of the way, He went for the middle of our hearts in 2006: the hated Cardinals won it all with an overachieving team and a couple of DUIs. So last year seemed like a perfectly natural segue for the Cubs, right? Nope, He said give the Red Sox a SECOND championship, and make sure that pillar of salt gets ground into our wounds with a jackhammer. So why should we expect anything less in 2008? Who would be our next, least favorite team to win a championship other than the Cubs? Why, the Brewers of course! The only difference this year is that we’re onto God’s hidden camera, so we can’t get punk’d if we see it coming and tell Him so. Like a little brother getting a 5 year long noogie, I’m willing to cry “Uncle!” or “Supreme Being!” or whatever He wants to hear before He lets me up off the carpet. I give. Now let us win one, for Your sake. 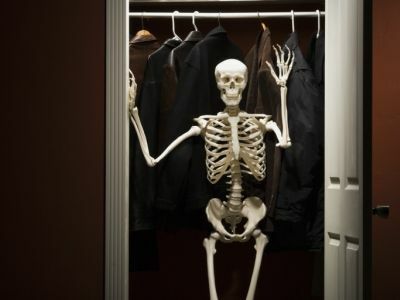 Next week: how I think the White Sox will do the rest of the year. Just kidding. I took a vacation with my family last week. We rented a house on a lake in Michigan. Not on Lake Michigan; just a lake in Michigan. A week on a house on Lake Michigan rents for about the same as 3 car payments, a mortgage payment, and a month’s worth of Raisinets (I rounded up). A house on a small lake in Michigan rents for just enough to make you feel like you’re saving money while you’re spending money (it’s a nice illusion). While we were spending time on the back deck of the rental house on a Tuesday, looking out at a lone fisherman in a bass boat, it occurred to me that everyone else who lived on that lake was probably at work. Then I thought that it must be a nice place to live year round, and that those people have a nice life. But then I remembered that winters must be tough on a lake in Michigan. I also wondered if anyone on this lake would want to rent my house for a week in the summer. Maybe they, too, would enjoy the view off my back deck, looking at the neighbor’s backyard. Probably not, but the point of a vacation is to get away from what you’re used to. I knew that I needed a vacation when I realized a few months ago that I sit in nearly the same seat on the Metra train every day. And that other people sit in nearly the same seats as well. Maybe they all went to Catholic schools like I did and were programmed to sit in the same seats until told otherwise – or else. This lemming seating chart that we’ve all memorized makes us comfortable. It also makes us stir crazy. I knew the situation was really bad when I started to notice that every time I got off the train in Chicago, the SAME guy would pass me going the opposite way, on his way to work. I often tell the coworkers who I supervise that every once in a while they should input some data on their computers while standing up. They look at me like I’m crazy, but then they’ll try it when they think no one is looking. It’s the same work, but from a different perspective. Breaking away from the routine, from the mundane, is the only way to stay sane. That’s why there are no 50 year veterans of the Illinois Tollway. Can you imagine handing out coins in that same 4x6 box, every day, for more than a few hours? Sure, it’s exciting to see the different types of cars and trucks and look at all the dashboard snacks as customers roll up to your booth, but even tollway voyeurism must get old after a while. Last week when you had the 4th of July off, it helped you recharge, didn’t it? Unless you were in prison or working at a Shelton’s fireworks store (buy 1, get 6 free! ), last Friday was a nice break from your Groundhog Day life [Hey Midwesterners, don't take that for granted - I'd kill for a deal like that back east...or legal fireworks within two states for that matter! - Editor]. Every time I go on vacation with my family and we rent a house or a condo, it’s always strange at first to think that we’re sleeping in someone else’s bed, using someone else’s fork to eat, or better yet, using someone else’s fork to eat while in someone else’s bed. Vacations separate us from ourselves, while bringing us closer to those who shared the experience. For that moment in your life you don’t live at your own house anymore. For that moment in time you’re someone living in Michigan or Hawaii or Wisconsin or wherever you decide to vacation. For that moment your life is suspended. Your mail doesn’t get to you; your home phone isn’t within reach, your email goes unanswered (and if you spend your vacation answering cell phones or messages, you’re really not on vacation, don’t kid yourself, Mr. Drone). The next time you go on vacation, leave all that stuff behind. Including yourself. For the first time in 34 years, Billy Packer won’t be calling the Final Four, the Miami Herald reports. CBS won’t renew the 68-year-old’s year-to-year contract, an exec confirmed, but will replace Packer with veteran announcer Clark Kellogg. Packer has been a controversy magnet, most famously for calling Allen Iverson “a tough monkey” in 1996. 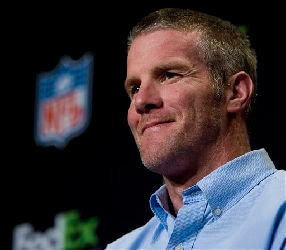 Baltimore Ravens: Favre's agent has placed players there before. Buffalo Bills: Wintry weather? Fervent fans? Sounds like home. 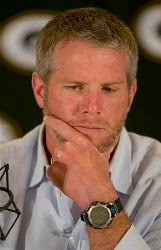 Carolina Panthers: If Delhomme falters, Favre could step in. Chicago Bears: Maybe, but a Super Bowl is unlikely. Detroit Lions: A chance at a ring, and two cracks at the Packers. Houston Texans: Some buddies, and near Favre's Mississippi home. Minnesota Vikings: Interesting; strong team, and offensive coach is a friend. Tampa Bay Buccaneers: A good, young offense could support Favre's ambitions. Washington Redskins: A familiar playbook and a spend-happy owner. Green Bay won't be releasing retired quarterback Brett Favre from his contract as he has requested, and aren't promising to start him if he rejoins the team, AP reports. "This is a hot-button issue that surpasses anything I've ever gone through," says Packers GM Ted Thompson. Favre had the chance to return weeks ago, but didn't take it. 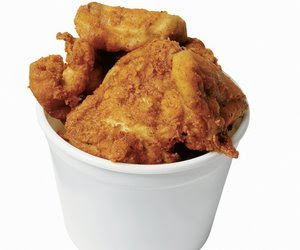 You might be well acquainted with the Colonel and his famous fried chicken, but beneath the crunchy skin lie some lesser-known facts. The Daily Green sides its poultry with a six-pack of trivia. It's a place: After toying around with the name "Ptarmigan," one town's handful of residents settled on Chicken, Alaska. Where to get it: If you follow Bon Appetit's advice, you'll take your chicken craving to Blackberry Farm in Tennessee, Price's Chicken Coup in North Carolina, or Willa Mae's Scotch House in New Orleans. Who hates it: The Dalai Lama isn't a leg, thigh, or breast man; in fact, he asked one company not to open its outlets in Tibet due to the "sufferings of chickens." How to cook it safely: Should a pan of hot oil erupt into flames mid-fry, extinguish the grease fire by sprinkling baking soda over it. It has its own holiday: Celebrate your love for the crispy-skinned treat July 6. The Colonel makes unchicken, too: KFC in Canada will soon offer vegan "chicken" to its customers. The streets of San Francisco will be getting smarter this fall, reports the New York Times. The city is pioneering a program to add sensors to thousands of parking spaces; drivers will be alerted to empty spaces through displays on street signs or via their smartphones. City officials hope the experiment will help clear Frisco's clogged traffic by cutting down on drivers circling to look for a place to park. If it works out, the project will have "a cascade of positive effects on transportation and the economy and environment," an urban planner tells the Times. He estimates that drivers hunting for parking spots make up 30% of traffic in central business districts. A dozen other cities are looking into similar systems, hailed by San Francisco's mayor as an alternative to imposing restrictive tolls. People are losing their homes and many more will lose their jobs before the mortgage meltdown works its way through the system. How many casualties? Experts are predicting that in the next few years, between 15 and 20 million homeowners could have homes worth less than what they owe. Walking away from a bad situation may actually make sense for people who mortgages that are 'upside down' considering the fact that refinancing is out of the question and home equity is nonexistent. It seems quite easy to point fingers at greedy Wall Street titans for causing the sub-prime mortgage crises. They after all, put together the deals that allowed banks to underwrite mortgages and then offload these liabilities to investors. What many fail to realize is that there is no shortage of blame to go around from homeowners buying more home than they could afford to real estate agents looking for more commission dollars. Mortgage brokers and bankers, the banks themselves, ratings agencies such as Moody's and Standard & Poor's, Wall Street, the Fed and last but certainly not least, the Federal Government. The purpose of TILA (Truth In Lending Act) is to promote the informed use of consumer credit by requiring disclosures about its terms and cost. TILA also gives consumers the right to cancel certain credit transactions that involve a lien on a consumer's principal dwelling, regulates certain credit card practices, and provides a means for fair and timely resolution of credit billing disputes. With the exception of certain high-cost mortgage loans, TILA does not regulate the charges that may be imposed for consumer credit. Rather, it requires a maximum interest rate to be stated in variable-rate contracts secured by the consumer's dwelling. It also imposes limitations on home equity plans that are subject to the requirements of Sec. 226.5b and mortgages that are subject to the requirements of Sec. 226.32. The regulation prohibits certain acts or practices in connection with credit secured by a consumer's principal dwelling. 1. Bothered to read the truth in lending act disclosure at all. 2. Understood what the truth in lending act disclosure meant. 3. Chose to ignore the information printed clearly the truth in lending act disclosure. A number of months ago, just as the subprime mortgage crisis was beginning to unfold, The New York Daily News ran an article about a family in New York City, who had bought a home and were now faced with the prospect of foreclosure. The article was sympathetic to this family, highlighting the fact that they're living the American dream and that this dream was about to come to an end. What I found to be distressing was the fact that clearly visible in the photo that accompanied this sympathetic article was a very expensive flat screen television hanging on the wall. Perhaps I'm naïve, but I can assure you that if I were faced with the prospect of losing my home and having my family put out on the street, there is absolutely no way that I would still have that expensive television hanging on my wall. It would have been one of the first things to be sold and some financial relief would be found by jettisoning what I'm sure was the expensive cable bill. Clearly the public needs easy access to financial literacy courses. Too bad we don't see the need to make this a mandatory course of study in our educational system. Mortgage bankers and brokers have in the last four or five years been raking in cash by the bucket load in the form of commissions paid when mortgages they've originated, close. Many of these people have not needed to do much in the way of prospecting. Instead, their phones have run off the hook as people have jumped on the homeownership and refinancing and take out extra cash bandwagon, despite their ability to pay for their home. No-document loans were readily available without the borrower having to produce documentation that backed up their income. Clearly this practice can and indeed has, lead to substandard loan underwriting processes. Were some of these mortgage bankers and brokers dishonest? Sure. Were all of them dishonest? I think not. To have a massive nationwide conspiracy, where thousands and thousands of people involved in the mortgage banking and mortgage brokering profession got together to create this situation is simply not feasible. Yes, some of the blame does belong with those in the mortgage industry, but they were simply a small cog in the huge machine that created this mess. Let's discuss real estate agents. In 2007, we bought a home, and also sold a home. The agent we used to purchase our home was absolutely fantastic. In our opinion, she went above and beyond to make our deal happen. She answered every phone call, followed up on every concern and was the epitome of professionalism. We consider this individual to be a friend, and we have sent referrals her way that have resulted in her earning additional commissions. We will continue to recommend her to all who ask or mention that they'd like to buy or sell a home in our area. The real estate agent, we used to sell our home, could not have been more different. We got our old home ready to sell prior to closing on our new home. We decided to list it as “For Sale by Owner.” In the event that we didn't sell this home on our own, it was our intention to list it with an agent as soon as we had closed on the purchase our new home. Literally, from the day we put the sign in front of our home and listed it on a “For Sale by Owner” website we were inundated with phone calls from real estate agents. We were told many lies and were constantly harassed; although we had already made it quite clear to every agent who called, and there were more to 60 who did; that we were willing to pay half the commission-the same as they would have received had they sold another agent's listing. We also told every agent that called that we had already lined up an agent to sell our home in the event that we chose to no longer sell it ourselves. Our deadline was the closing date of our new home purchase. We did have an interested buyer who shortly after our closing date decided to keep looking so we listed our home with a local agent so that we could concentrate on getting our new home ready for our moving date at the end of the school year. This agent showed our home a maximum of two times and got an offer which we accepted. We ended up getting $1,000 less than we had wanted in a declining Real Estate market. The agents who had called many times to harass us called our listing agent on a number of occasions and he lied telling them that the house was under contract when in fact it wasn't at that time-clearly a breach of our agent's fiduciary duty. Quite frankly an ethical agent would have continued to show our home until closing in the event that the deal fell through. But wait, there's more. Our agent also acted as the buyer's mortgage broker. At the closing table, we learned that he had signed documents from the buyer stating that he (our agent) represented them and we had signed documents stating that he represented us. We also learned that the buyer had effectively put down approximately 2-3% of the purchase price when financed closing costs were factored into the equation. Their first mortgage had what we thought was a high fixed rate and their second mortgage came with a rate in excess of 8.5%. Because the closing happened in August, literally in the midst of the first wave of the meltdown, if they didn't close on the day they did (August 31st, 2007), Citibank wasn't going to extend their rate. When my wife & I have bought houses in the past, it had always been a very happy day. These people looked absolutely shell-shocked at the closing table. I'm not convinced that they knew just how much their monthly payment was going to be until closing day. We knew down to the penny well in advance having budgeted and planned everything on a spreadsheet. Were these people stupid or just inexperienced and mislead by a greedy combination of real estate agent & mortgage broker? I'm extremely confident that they are intelligent people but inexperienced and taken advantage of by an unscrupulous agent. The banks are also culpable. Prior to bank deregulation, Savings and Loans provided mortgages to home buyers and kept these loans on their books. Non-performing loans had a negative effect on the S&L's profitability which of course caused tighter lending guidelines such as job stability and decent down payments in order for prospective home buyers to be approved for a mortgage. Way back then, a home buyer had to actually save up enough money for a down payment 10 or even 20% before a bank would ever consider underwriting a mortgage. The checks & balances kept banks solvent and borrowers responsible. Although this approach worked, some cried foul stating that the regulated system was racist and discriminatory-and there certainly was some truth to this. Skipping forward to the present, banks made a bundle on mortgages over the past five or six years. For the most part, they allowed their underwriting criteria to be stretched so far out of alignment that almost anyone could and indeed did, qualify for a mortgage despite their ability to pay. Some folks even applied for and received mortgages for more than the property was worth. Sometimes for as much as 25% more than their property was worth! Under the prior system, 125% mortgages would not have been possible because of course these loans were held on the banks' books and could have led to losses that would have had to have been absorbed directly by the bank. So what went wrong? Under the current system, these loans were sold to the big Wall Street investment firms who repackaged them as collateralized mortgage obligations (CMO's), Mortgage Backed Securities (MBS's) and other similar acronyms. These instruments were then sent to the ratings agencies for their blessing and more importantly a letter rating. Many of these structured finance deals receive AAA ratings-the highest ratings available meaning that in theory, these instruments were least likely to default. How does one create a 'triple A' or AAA rated financial instrument out of sub-prime mortgages? Herein lies the magic. These Asset Backed Securities (ABS) are made up of different tranches or slices, each carrying a different risk and reward level. The first dollar of principle and interest is applied to the securities with the highest rating, and the first dollar of loss is applied to the tranche with the lowest ratings. The lower slices are designed to provide a security blanket that in theory protects the higher-rated securities. The investment banks that package or 'structure' these securities in order to earn fat fees when they sell them to investors are the same entities that pay the ratings agencies to rate these instruments. Clearly the possibility for conflict of interest is present. If investors and not the investment banks that stand to rake in millions in fees were to pay for the rating, the potential for this conflict of interest would be negated. Furthermore, the investment banks have a vested interest in convincing the ratings agencies of the credit worthiness of these securities. So we've already pointed fingers at homeowners, some greedy, many more I suspect, naïve or uninformed, real estate agents-one out of more than 60 in my experience was a gem, mortgage brokers & bankers, banks, Wall Street and ratings agencies so who's left? The Federal Reserve and the Government of course. The Fed is best known for its role in making and carrying out the country's monetary policy-that is, for influencing money and credit conditions in the economy in order to promote the goals of high employment, sustainable growth, and stable prices. The long-term goal of the Fed's monetary policy is to ensure that money and credit grow sufficiently to encourage non-inflationary economic expansion. The Fed cannot guarantee that our economy will grow at a healthy pace, or that everyone will have a job. The attainment of these goals depends on the decisions of millions of people around the country. Decisions regarding how much to spend and how much to save, how much to invest in acquiring skills and education, how much to spend on new plant and equipment, or how many hours a week to work may be some of them. What the Fed can do, is create an environment that is conducive to healthy economic growth. It does so by pursuing a goal of price stability-that is, by trying to prevent inflation from becoming a problem. Inflation is defined as a sustained increase in prices over a period of time. A stable level of prices is most conducive to maximum sustained output and employment. Also, stable prices encourage saving and, indirectly, capital formation because it prevents the erosion of asset values by unanticipated inflation. The Fed is one of the several Government agencies that share responsibility for ensuring the safety and soundness of our banking system. The Fed has primary responsibility for supervising bank holding companies, financial holding companies, state-chartered banks that are members of the Federal Reserve System, and the Edge Act and agreement corporations, through which U.S. banking organizations operate abroad. The Fed and other agencies share the responsibility of overseeing the operation of foreign banking organizations in the United States. To insure that the banking system remains competitive and operates in the public interest, the Fed considers applications by banks for mergers or to open new branches. The passage of the Gramm-Leach-Bliley (GLB) Act in November 1999, was the culmination of a multi-decade effort to eliminate many of the restrictions on the activities of banking organizations. The Fed's enlarged role as an umbrella supervisor of FHCs is similar to its role in supervising bank holding companies. The Federal Reserve Banks will supervise and regulate the FHCs while each affiliate is still overseen by its traditional functional regulator. The Fed has to delineate the financial relationship between a bank and other FHC affiliates. Its primary goal is to establish barriers protecting depository institutions from the problems of a failing affiliate. To do this efficiently the Fed has to ensure increased communication, cooperation, and coordination with the many supervisors of the more diversified FHCs. The Fed has access to data on risks across the entire organization, as well as information on the firm's management of those risks. Regulators will be in a position to evaluate and presumably act on risks that threaten the safety and soundness of the insured banks. It would appear that the Fed has failed to curb housing inflation which played a role in this entire debacle then made matters worse and in their efforts or lack there of, to properly supervise banking institutions. It now appears that after millions of horses are out of the barn (some horses ran, others were foreclosed upon) the government wants to step in with a bailout to save the rest. While nobody wants to see people lose their homes, the question that must be raised is this: What about all those of us who were responsible? Those of us, who scrimped and saved up a decent down payment, bought less-house than we could afford and who live below our means? 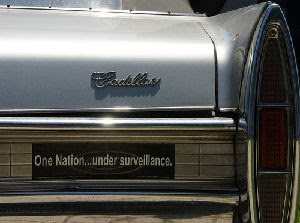 Many of us drive older cars and keep them longer. We don't run out and buy the latest and greatest at inflated prices, we watch, wait and budget. When the World Trade Center was attacked, families who decided not to sue received government payouts and we certainly don't begrudge them as I'm sure that given the choice, they'd prefer to still have their loved-ones over the money. The problem, in typical government fashion is that those who were responsible and had insurance policies in place received less than those who were irresponsible and didn't plan ahead. I'm not talking about dishwashers at Windows on the World and blue collar workers; I'm talking about executives, traders and people who should have known better. Now our government, the same government that sat by idly watching as this bubble got bigger and bigger despite many warnings, wants to step in and bailout people who are in danger of losing their homes. There has been no talk about educating people, let's not teach people to fish, rather, let's give them a fish and bail them out once again at the expense of those who are responsible. Clearly, by keeping the majority of the population financially ignorant, there is a lot of money to be made by the poverty industry. Richard Gandon is the Managing Director of The Financial Learning Network, dedicated low-cost online to financial literacy seminars. 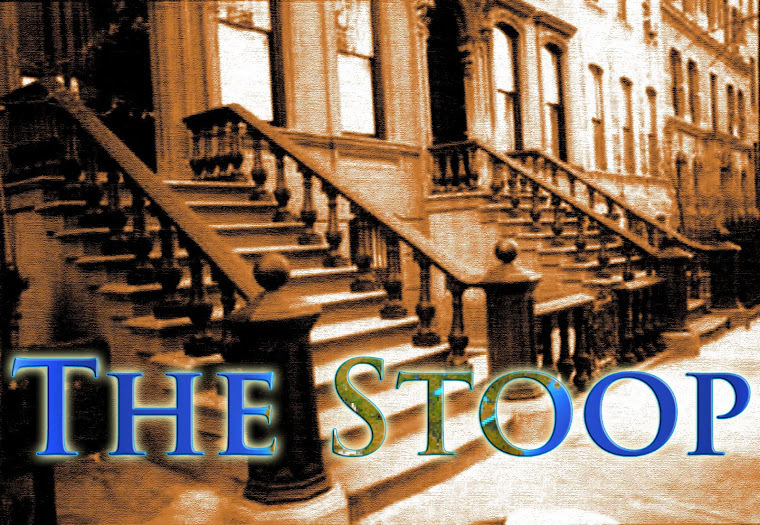 His 'Understanding the Stock Market" course was made into a CD-ROM and is in use in more that 50,000 classrooms nationwide. 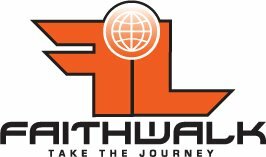 Every year since 1998, Richard has teamed up with a fifth grade class in Georgia to teach them about the stock market online. Richard has more than 20 years of financial services industry experience including as a broker, trader, licensing trainer and managed both a sales group and Central Inquiry, a Historical Equity & Index Research group at Standard & Poor's. 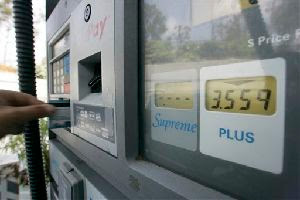 The record-breaking gas prices putting the squeeze on American drivers may be a lifesaver for some, reports the AP. Experts crunched 20 years of data and discovered that auto deaths fell 2.3% for every 10% hike in gas prices. When gas went up, people drove slower and bought safer vehicles. Risk-taking young drivers were priced off the roads. They estimate $4 gas will prevent 1,000 deaths a month. Two dogs trained to sniff out counterfeit DVDs are so good at their jobs that infuriated pirates have put a bounty on their heads, Wired reports. 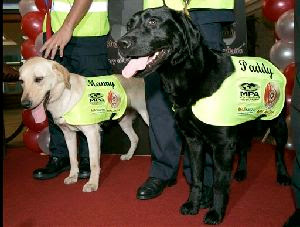 The dogs—Labrador retrievers who were taught to detect the scent of polycarbonate—have helped locate millions of fake discs hidden in warehouses and underground disc-duplication operations in the US, Malaysia, and the Czech Republic, helping put dozens of counterfeiters behind bars. The pooches' success has inspired cops around the world to start up their own canine disc-sniffing units. The Motion Picture Association of America's anti-piracy boss got the idea in 2004 when he thought back to the bomb- and drug-sniffing dogs he encountered as a federal prosecutor. They still can't tell pirated from authentic DVDs, though—and forget sniffing out illegal downloads. AIM: Should need no introduction, although it was a major omission from the original iPhone's slate. Bejeweled 2: A popular time-waster gets a suitably beautiful iPhone port. eReader: An eBook reader, well suited to the iPhone's large screen. Etch A Sketch: Enjoy some grade-school nostalgia, using either mock-ups of the original's dials or a feature that allows you to finger-paint on the screen. Pianist: A touch-screen mini keyboard, for the musician on the go. Pandora Radio: Like the popular website, allows users to generate custom radio stations. 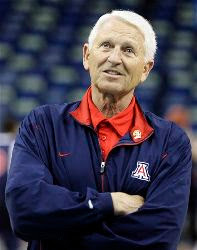 Lute Olson is sick of an NBA rule that results in top basketball prospects spending just one year in college, the Los Angeles Times reports, and says he'll no longer recruit such players for his University of Arizona program. Olson, who's seen the rule cost Arizona two top players this spring alone, calls it a "farce" and say he'll push for changes. Olson thinks players should have a choice: turn professional right out of high school or commit to two or more years of college. 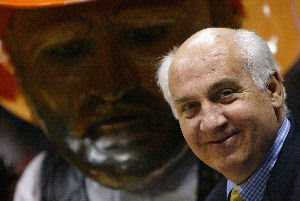 Though lobbying college rulemakers is one route, Olson's Syracuse counterpart says coaches must hope for a change after the NBA's current labor deal expires in 2011. Jim Boeheim will still recruit top stars: "Guys will leave," he said. "It's a fact of life." 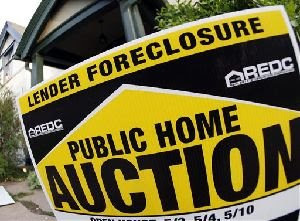 By a huge margin, the Senate today passed a $300 billion bill to help homeowners avoid foreclosure—but the White House vows to veto it unless the House makes changes, the AP reports. The bill will let struggling homeowners reinsure at cheaper rates backed by the government, but President President Bush says that nearly $4 billion in the bill, slated to fix up foreclosed homes, benefits lenders, not owners. 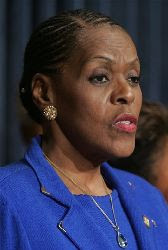 A Bush spokeswoman urged House lawmakers to strip the provision “so that they can get a housing bill to the president that he could sign right away.” But many in the House, particularly black congressmen, see the money as essential to revitalizing affected communities. Barack Obama urged Bush to pass the measure "along with a second emergency stimulus package to jumpstart the economy." Guzzle Coffee, Prevent Multiple Sclerosis?